Fresh eyes are often not your own. This drawing is one that’s been hovering around unfinished for a while, but is now done. I hope you like it. I’ve always been intrigued by funny front ends. I’m in no position to ever build a bike with such a concoction of engineering complexity, but I get some satisfaction from drawing these things. There are lots of sketches in the pile but this one made the cut last time around. The lines in the background come as a result of the following tale. A good friend mine met me for a casual late sunday pint over the weekend and made a couple of interesting observations about the last drawing post. He was very complimentary about the image itself but what he said after that was the bit that mattered. He began by making comments about some of the much earlier drawings that had been on the blog earlier in the year. He liked them too but felt that they were somewhat isolated and hovering in a space not tied to anything. We agreed that it was the lack of background which created this feeling. What was really interesting was what we discussed next. Asked if I would ever start doing drawings of real bikes like BSA’s and Triumphs I said that I wouldn’t. The reason I gave was that it didn’t interest me, creating images of what already existed. There were already plenty of those in the world I suggested, and besides I didn’t feel like getting bogged down in worrying if I’d got all those niggley little details correct, stuff like that. He did not disagree with this approach but said that by including even a very simple horizon line in the newer drawings, what it achieved was to bring the drawing into the real world. This creation of a reference to reality somehow made the drawing more believable, placing it in a context that could be related to and giving a dimension, a depth if you like, that had previously been missing. I liked his thinking and was impressed with his perception. You may remember that some time ago I spent quite some time talking about what to do in terms of backgrounds for some of the images. I’d messed about with a whole stack of print outs but never settled on a final approach or approaches. This conversation with my friend, although short, provided all the validation that I had not been able to find within myself for the direction that these things should take. Fantastic. This is not only a great relief, but also a great way to follow on from my previous post about learning to judge your own work and be critical about it. I realised that I had completely failed to fully analyse this aspect of the images and come up with a strategy for what to do about it moving forward. I must at this point also thank Cecilia, one of my subscribers, for alerting me to the fact that one very good and simple way of engaging with the process of being critical about ones output is to go and do something completely different for a while. To engage in something totally unrelated to what you’ve been focussing on. This clears the mind and freshens the eyes in a way few other things can. Fresh eyes bring a new perspective. In the above case my friend Richards eyes were the fresh perspective. Thanks mate. Adopting this idea on the latest drawings is really working, what will be interesting is where it goes next. This is how far I’ve got with the work up of the sketch I showed last time out. It’s going into ink now so watch this space. 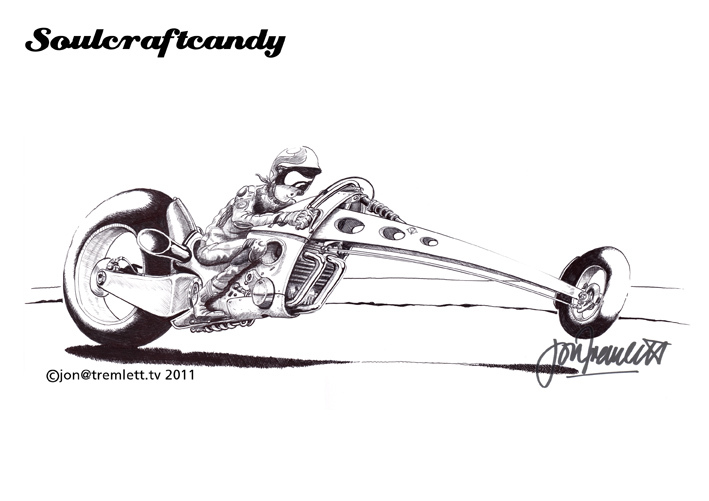 This entry was posted in Background, Drawing, Fresh eyes, Ink by Soulcraftcandyman. Bookmark the permalink.